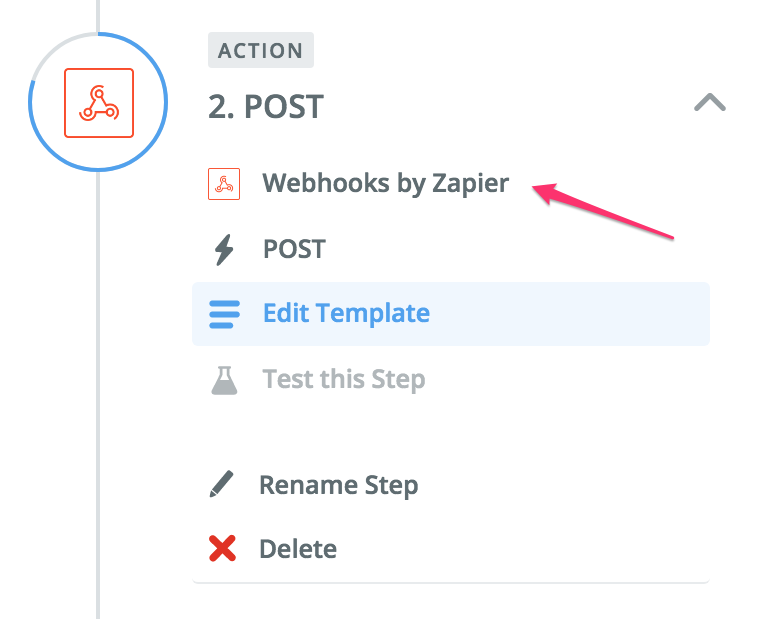 In Zapier, choose "Webhooks by Zapier" instead of "Mailshake" in the action step of your Zap. Inside Mailshake under "Extensions" is a menu item called "API." Here is where you'll find your secret API key. You may need to click a button to enable API access. Back in Zapier, choose the "POST" action and customize it as follows. Check out our API docs to find the action you'd like to take in Mailshake. In our example, we're choosing to pause a campaign. Be sure to add the apiKey parameter to the "Data" section, along with any other required parameters as listed by our API docs. 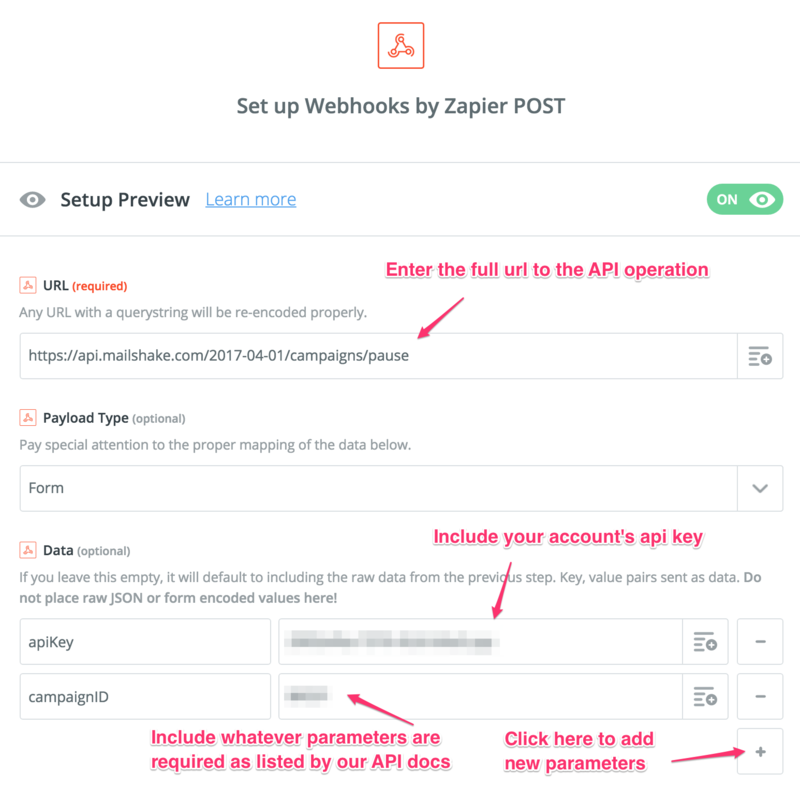 In Zapier proceed through the rest of the Zap setup. It should send a test which in our example will pause your campaign. Refresh your page in Mailshake and you should see your campaign was paused.